Apple has squeezed in another Mac OS X Mountain Lion update before the expected October launch of its next operating system version, OS X 10.9 Mavericks. Today's update, OS X 10.8.5, brings several bug fixes to the Apple software along with MacBook Air Mid-2013 Software Update 1.0 after nearly three months of beta testing. "The OS X Mountain Lion v10.8.5 Update is recommended for all OS X Mountain Lion users," wrote Apple in its official release notes. "It improves the stability, compatibility and security of your Mac." Specifically, it fixes Apple's Mail program, which failed to display messages in certain instances, and remedies AFP file transfer performance over the new 802.11ac Wi-Fi protocol. Apple also took to fixing other annoying bugs in Max OS X 10.8.5 like the one that prevented a screensaver from starting automatically. Improvements to Xsan reliability, large files being transferred over Ethernet and authenticating to an Open Directory server are here, too. 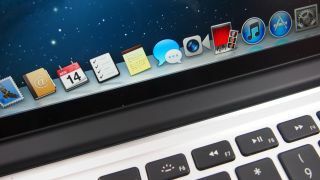 Finally, OS X 10.8.5 marks the first improvements for the new Haswell-powered MacBook Air that launched just as this update went into beta testing. MacBook Air (Mid 2013) Software Update 1.0 and all of the other changes are available in the updates pane of the Mac OS X App Store with a required restart.